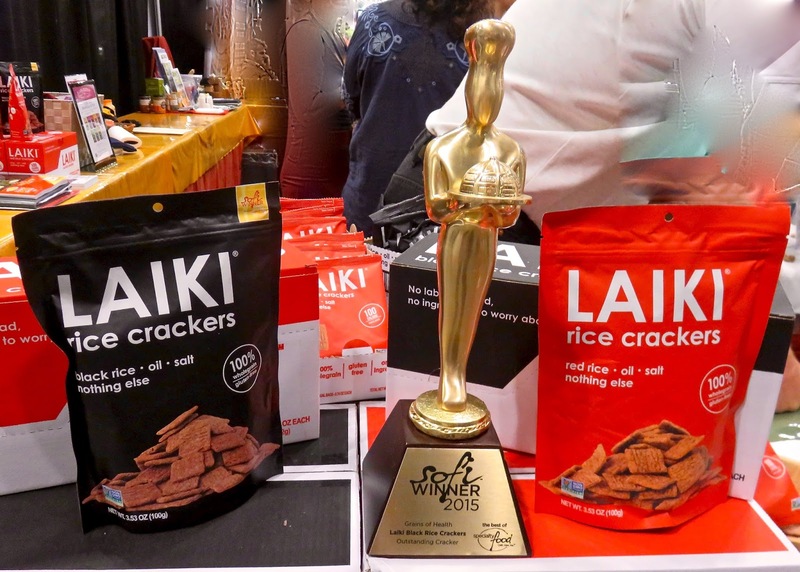 Crackers and snacks...nix the standard wheat flour in favor of gluten-free rice- or wholesome ancient grains -often jazzed up with bold ethnic flavors- now fully embraced by Americans. Wholesome-featherweight USDA Organic SUZIE'S Kamut Puffed Cakes made from puffed wheat kernels-are a good cracker substitute fro dips/cheese/honey imo. In lightly salted. agave sweetened or plain versions-cholesterol/preservative free. 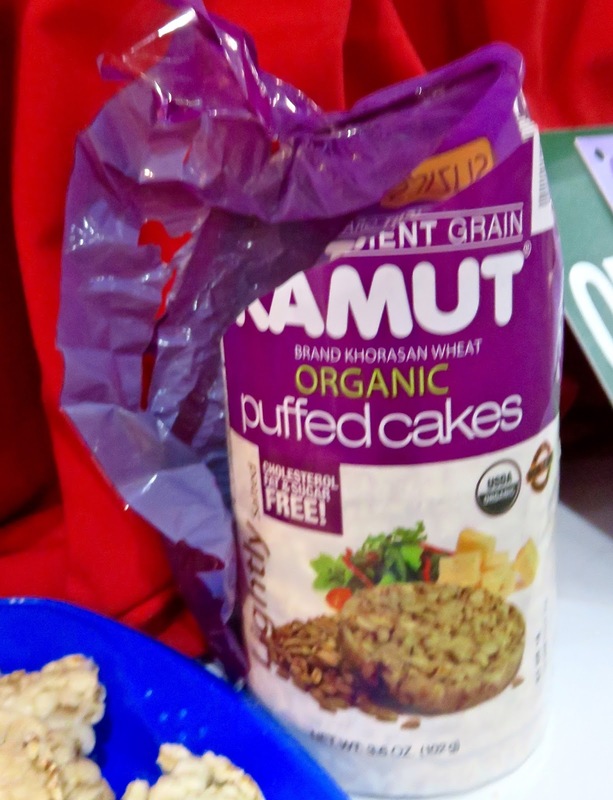 When we crave carbs after a tough workout but want to keep the calorie count DOWN-we have these on their own. Widely available. In Season Rice Bites Seaweed -crunchy salty/sweet treat with seaweed flake (nori), cane sugar + tamarin sauce -good straight out of the resealable bag. On Amazon. 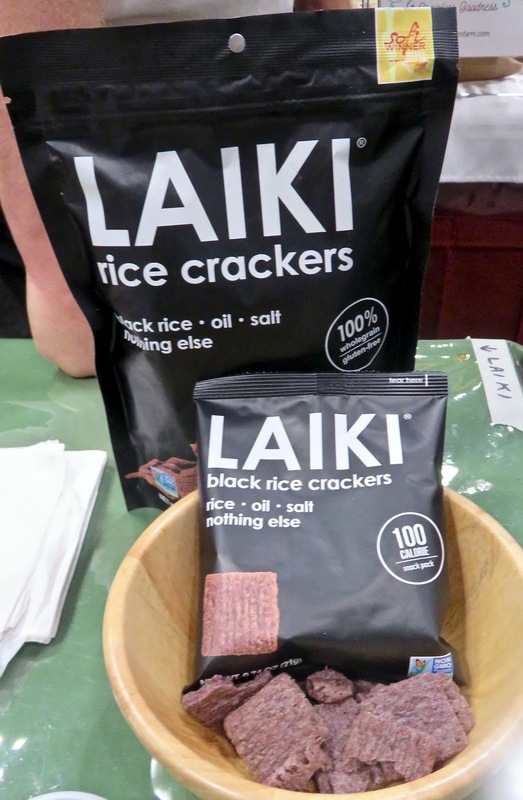 SOFI winner...LAIKI keeps ingredients simple...using flavor packed black rice for these little crunchy square. 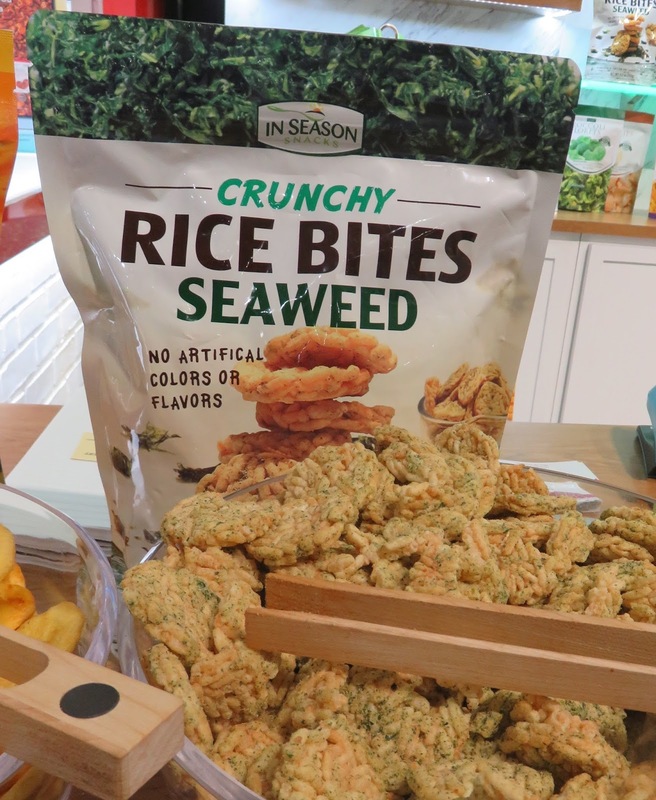 Gluten-free using sustainably sourced back (and red) rice from Thailand, sustainably sourced palm oil and sea harvested salt. 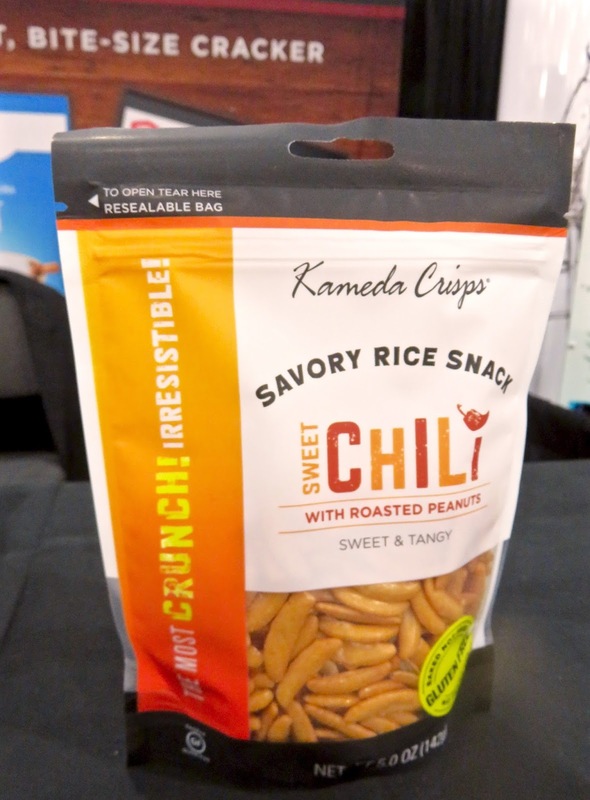 HANDY-packaged in 100 calorie single serve snack size bags...fairly widely available including Starbucks where we live...and online in bulk. Yummy!